It was a pleasure to work with Dale. I know him for over a decade, as he was happened to be the realtor of the person who I bought the condo from. I was so impressed with his professionalism and drive to give his client the best deal that I told myself that he will be my realtor when I would plan to sell my condo. After 13 years I sold my condo, and it was the smoothest transaction I have ever experienced when it comes to dealing with any kind of property transaction. Dale was efficient, engaged with great communication, and made the process as smooth as possible for me. I highly recommend Dale to anyone who is looking for a knowledgeable, dependable, client oriented realtor to take care their home buying and selling need. appreciated by me and my family. We were also pleased with the price we received for my mother’s home and relieved that it didn’t stay on the market for long. I will definitely recommend you to my friends and will call on you when I decide to sell my own home. Dale just a note of thanks to you and your team for handling the sale of my home with such professionalism efficiency,and for guiding me through the whole process it was pleasure working with you. Dale, I truly appreciate everything you have done for me and Larry. This process scared me at first but you made everything so easy. I truly appreciate you going above and beyond, answering all of my questions, and always being there every step of the way. You honestly exceeded my expectations - from offering to plaster my ceiling to talking me through each page of the closing paperwork. I never expected such a personal experience, so for that and so much more - thank you! Please feel free to use my remarks as you see fit or as a referral. I look forward to working with you in a couple of years when we are ready to sell Larry's home and find our forever home. Dale, We both appreciated your advice and diligent follow-through in representing us. I personally really appreciated how you were able to keep after the listing agent and seller and help me through the trying experience of purchasing a first home. Thank you Dale it was great working with you. I will definitely refer you/tell my friends and coworkers and recommend you. I'm glad this part is over but I still have other estate stuff to deal with. If you need a reference I am more than happy to give one. I thought you were great..professional appearance and demeanor. You also gave great advice. You have experience and it shows. You always answered my emails/phone calls in a timely manner and followed up. Those messages and emails/phone calls really showed that you care about your clients. I also liked how you explained things to me without sounding condescending. Some of this stuff I just didn't understand and you explained it in a clear understanding way. I really liked that. You made me feel at ease and assured me that things will work out. Thank you so much for your help and patience. I really appreciate it. We LOVE it... Can't thank you enough for your patience and dilligence... but Thank you... YOU ARE THE BEST!!!! marketing of our home and closing the deal. We were very impressed with him. He even came in on New Year?s Eve when the office was closed to take us through the closing. We highly recommend him and would use him again. had a very good working relationship. The Ferndale house sold in two days. We heard about Dale through our parents, he had been their real-estate agent some 23 years prior. I approached buying our first home with hesitance and anxiety due to some recent real-estate mishaps throughout my family, but Dale was easily able to squelch my trepidation with smooth, logical explanations. Dale?s demeanor during a house visit can be likened to that of a parent taking their child to a toy store for the first time. When a child goes into the toy store, they instantly look for the things they like in toys. They run up and down the isles, looking for the latest and greatest. The parent is there though to be the voice of reason. A good parent won?t pick the toy for the child, but rather just bring into focus all the things about said toy that the child may have missed. Will the toy require construction? Will it last long? Will this be the toy that you?ll still want once Christmas comes around? Buying our house was no different; to say that Andrea and I knew exactly what we wanted would be a hyperbole at best. We?d go into houses looking and mainly spotting the things we liked. We would talk amongst ourselves as Dale roamed, peeked, and poked his way around the house, silently observing all those things that decades of experience in the real-estate business had taught him. Eventually, we?d convene and we would tell Dale what we thought, and then it would come, the invaluable knowledge and tid-bits from Dale?s mind. I can?t tell you how many ?ohhhhs? and ?hmmmmms? Dale?s insightful comments brought to my lips. He was able to give us just the advice we needed each time. And the best part about Dale?s advice was that it was completely objective. He didn?t pressure us, try to persuade us, or point us to buying one house. He wasn?t concerned about closing the deal, he was concerned that we find the house that we want, and that would fit us. Eventually, the right house did come along. And that?s when Dale really went to work. He was in constant contact with us every step of the way. Every time we had an issue, Dale was right there to explain it, or help correct it. There was never a time during the closing process that I felt Dale wasn?t on top of the situation. Even when we ran into problems with the lender, Dale was there helping us out. From start to finish, Dale Grace made our first home purchase one that we can be confident in. Thanks for keeping in touch all these years. And we will definitely keep you in mind. We''ve always shared how great your service was with our last home. HI Dale, I was delighted with the service I received two years ago when you sold my home and helped me buy this one. Your in-depth knowledge of the changing real estate world helped me understand the position of seller and buyer much better. It was a stressful time, made much easier with your help. Thank you for the nice thank you letter in the mail. It was a pleasure doing business with you once again. All in all, we were very pleased with how the sale went from start to finish. You began an aggressive advertising campaign with the home right from the first day. The information went out that the home was on the market almost immediately. I think that really helped selling it quickly. You gave us good advice in staging the home--spending money where it counts. I think the home was priced fairly for the area. The people that need to improve their services are the city and the banks. Thanks again and we hope we have an opportunity to work with you again in the future. Thanks for being so understanding. If we hear of anyone else in the area wanting to sell their house through a real estate agent we will certainly recommend you. Dale, I had a great experience selling my house with you. You took the time to make sure I understood the whole process; from listing to closing. And you worked around my working and distance (the other side of the state) issues by being available for late night e-mails and phone calls. I will tell my friends who plan to sell in the future to contact you if they want to receive the best service. Thank you so much for your expert advice and assistance in selling my fathers house. Once again you gave us the guidance we needed to get the house to market and more importantly to find a buyer and make a deal that was satisfying to all parties concerned. I highly recommend your services to anyone who needs realtor services. Dale, you helped us to buy our first house and you listened to what we wanted in both the house and the price point and you went out and found it for us. Eight years later we had a bigger family and needed a little more house. Again, you made it all so effortless and easy for us. We went on vacation for 2 weeks and by the time we got home our house had sold for the highest price anyone had received for a similar house in our neighborhood. You went out of your normal selling area to show us houses in Troy, MI and we found just what we were looking for. And now you have helped me with the sale of my parents home. This time the market was much more difficult for selling homes but you gave my sister and I very sound advice and we were able to sell the house in less than 3 months. To anyone looking for a realtor all I can say is this guy is GOOD! He listens to his clients, he gives practical advice even if it may not be exactly the advice you want to hear. He tells it straight. He is a fierce advocate for his clients whether he is helping you to buy or sell. You can hire him with confidence and relax knowing that he is working hard for a successful outcome. Our co-workers kept telling me to anticipate major headaches during a purchase. They were wrong, you made sure that everything went very smooth. We have had a wonderful first year in our home and we are so very happy here....it really feels like home. We will continue to recommend you to anyone we may know who is looking for a home. 2. Hard working. We were on a tight time schedule to get things done and Dale worked very dilegently for us to help us find a place and get closed as soon as possible. 3. Helpful to 1st time buyers. We really didnt know what we were getting in to and how to proceed with things. Dale did a great job of guiding us through the process and helping us figure out what we liked and didn''t like. 4. Didn''t interfere with our decision making. Some agents, from what we''ve heard, can be very pushy and opinionated about what homes their clients should buy. Dale only gave his opinion/comments when we asked. He didn''t try to swing us one way or the other. We can''t really say there were any. Being our first time buying, we really didn''t know what to expect or have anything to compare to. Overall, Dale made the process as painless as possible and was in constant contact with us before, during, and after the process was complete. We really appreciate all the hard work, effort, and dedication he gave us. late for any appointments. Thanks Dale for making moving a lot less stressful "
Because of the experience you have, you were able to get us into our first home when they all said it couldn''''''''t. Then you sold our second home got us into our third and sold that one. Now were on 2 acres on our little piece of heaven. If it were not for you I''d still be renting. You know, once in a while you come accross an actual genuine person who cares. Our family would like to take this opportunity to thank you for all your help in getting us in our house. From the time we arrived in the United States 15 months ago my wife and I have been fighting for every inch of the way to contribute our experience to United States society. This was just another set back until we met you. We are pleased with our new home. Feel free to stop by. We most definitely will forward your name to persons looking at real estate. Once again THANK YOU !!! I wanted to take this opportunity to express my sincere gratitude to you for the excellent job you did on the sale of my mother''''''''s home. It was apparent from our first meeting that your professionalism and knowledge of the real estate business would truly be an asset that I wanted on my side.I was extrememly impressed with the way you marketed the home for sale and not just put the home on the market. Your timely responses to questions and your return phone calls even though they were long distance were greatly appreciated. Again, Dale, thank you to all the hard work and all the extra effort you put into the sale of our home. Just a note of Thanks for the smooth way you handled our house transaction. Anyway, we are enjoying it here and we would hate to ever leave, but if we decided to sell we''ll give you a call. I''m sure glad that we used you to sell our house asevery move gets better and better.I sure would use you to sell out next house and look for another one. I hope that other people will see that you are the best when it comes to selling a house. Stop by the new place anytime. We just wanted you to know how much we appreciate all your confidence and help in getting us our new home. You are a great guy and an excellent agent.You were there when WE could make it. I can''t believe all the hours that you work, but I guess thats what makes you better than all the rest. Thanks again for giving us a chance and making out dream come true. You handled everything in a calm, relaxed, professional manner, often at your own inconvenience. We both said that we picked the right man at the right time to sell the place. I was very pleased with the service and care that I received from Dale Grace. We used Mr Grace to purchase our home and then to sell it. He was extremely professional and helpful in taking care of all the details involved with real estate today. Mr Grace was always available to answer all of our questions and kept us up to date on how the sale was progressing. I would recommend Dale to anyone interested in selling or buying a house. Tom and I would like to thank for helping us find our home. We are very happy with it. You were great to work with. It was nice of you to check in on us even after the sale. Drop in sometime and see us. Please keep in touch. Sold in 1 DAY. What a job. Sold while we were on vacation. We didnt have to do anything. It was effortless and stress free again. Every move gets easier. You are always a pleasure to work with. You make everything so easy and we got top dollar too. I wouldn''t hesitate to use your services again. We can''t believe it. Sold 2 and bought 1 all without a glitch. You are amazing. You have never let our family down on any of out moves over the years. Everyone told us this was an impossible sale, but not Dale. You guided us through the entire process. Keeping us informed the entire time. Things went just as you said and we got more money that we expected. Second time was a charm. You completed a job that the first real estate company was unable to. Wish that we would have called you first. I''ve told everyone of your fantastic job. We just wanted to write to you and thank you for everything that you have done for us. You have made our first time buying experience an excellent one. We will be sure to use you again in the future. Our schedules were kind of tight but you did whatever you could to bend your schedule around so that we could find the right house. You really did walk the extra mile for us and we thank you. I am so happy! Selling one house and buying another became a much easier task after I called you. You knew so much about the area and really lead me gently through the selling process, then found me this great new house. I was pretty nervous about the whole situation and I really came to rely on your easy going, calm approach. Your experience and knowledge about the real estate business is very apparent and it''s refreshing to meet someone who likes their work and takes so much pride in doing a good job. Just wanted to send a HUGE Thank you for the exceptional job you did with the sale of my home. You did me right the first time around when I purchased the home 7 years ago.....and exceeded my expectations again with the sale. Thank you so much for making the transition so easy and stress free. Your experience - and even intuition, if you will - served me well both times !!! Thank you ! I''ll be passing your name around to anyone I know who''s expressed an interest in relocation. It''s truly been a pleasure to work with you. Your experience and expertise were most beneficial to Ryan and I. You helped guide us through the entire process, one step at a time. You were willing to take the time to answer all of questions, even if the answers were obvious to everyone but us. We looked to you for reassurance and guidance, and you never let us down. You spearheaded a great team with Cornell and we truly appreciated all of your time and effort. The most difficult part of the process was looking through all of the potential houses. Ryan and I started out with a clear picture of what we wanted, however (not so quickly) realized that it was going to be difficult to find in our price range. You took the time to take us to endless houses, and it paid off in the end. Ryan and I are in our first HOME, and we couldn''t be happier. I was so thankful that we had gone through the papers ahead of time. We were also glad that you and Cornell had both come - the people Ryan and I trusted were there, so signing wasn''t as terrifying as it could have been. It also helped that neither you nor Cornell were nervous or tense, so neither were Ryan or I. All and all it was a painless process and we are more thankful for your services then we could ever truly express. Thanks again, you sure know how to make the process painless. Once again you proved that your knowledge and expertise is unsurpassed. Your advice allowed us to sell our home in 3 days at a price my wife and I thought was very strong for the market!!! Unbelievable!!! Thank you!!! I want to say thank you very much for making by first house buying experience very easy. Stressful for sure being my first house but rather enjoyable also. The house is coming along very well. Working on little things here and there but coming along nicely. Thanks you for everything you did making my first home purchase an enjoyable experience. Thank you so much for your help in selling our home, Dale! We greatly appreciate everything you did for us and making the whole thing as easy as possible. Dale has been my family's REALTOR for many years. His help during the process of finding and buying my first home was invaluable. I didn't know much about house hunting-but Dale really had an answer for every question I had. He never rushed or pressured me into making decisions before I was ready, and the process of buying my home was way less nerve wracking than I expected. We will definitely be recommending Dale to friends and family in the future. Working with Dale Grace has been a great experience during one of the most difficult times of my life, selling the family home. My parents' house was there for my brothers, sisters and me for 62 years. Dale provided suggestions for pricing, staging, took fantastic pictures and listed the house in October. The next day we received 2 offers. Both met our asking price. We accepted the sentimental choice and waited for our veteran to complete sale. When it became obvious this was not working, Dale advised us to go back on the market. It was the right choice! We closed in early January. During the process Dale Grace was communicating regularly, advising us of market changes and overseeing our empty property. I could not have been happier with this saavy, professional realtor. 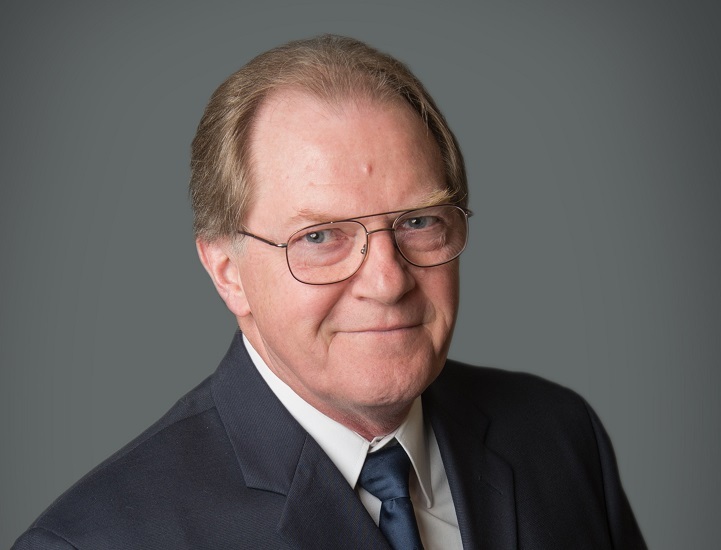 I have known Dale Grace for 6 or 7 years and found him to be an honest individual with integrity, understanding, patience, a good listener and was very straight with us dealing with offers for my wife Pam and I to help us purchase a condominium. His patience paid off for us as we had to do 6 offers on ground floor condos that were all the same layout, but very aggressive offers. Finally on offer 6 we bought a condo that turned out to be the best one for our needs. Thanks Dale for a good job.